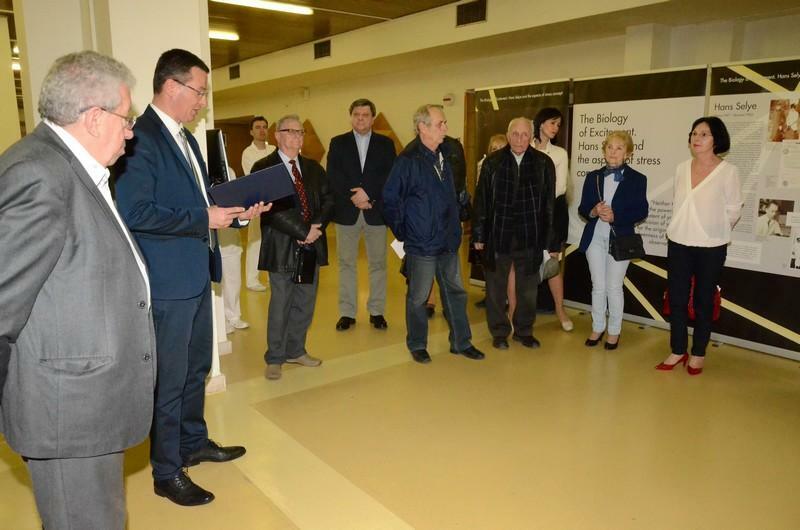 Faculty of Medicine of University of Pavel Jozef Safarik, Regional medical association in Kosice and Association of medical students in Kosice officially launched an exhibition about Jan Selye, pioneer of stress research. His full name was Hans Hugo Bruno Selye was Canadian Physician, biologist, chemist and endocrinologist with both Hungarian and Austrian origin, but his ancestors are from Slovakia. 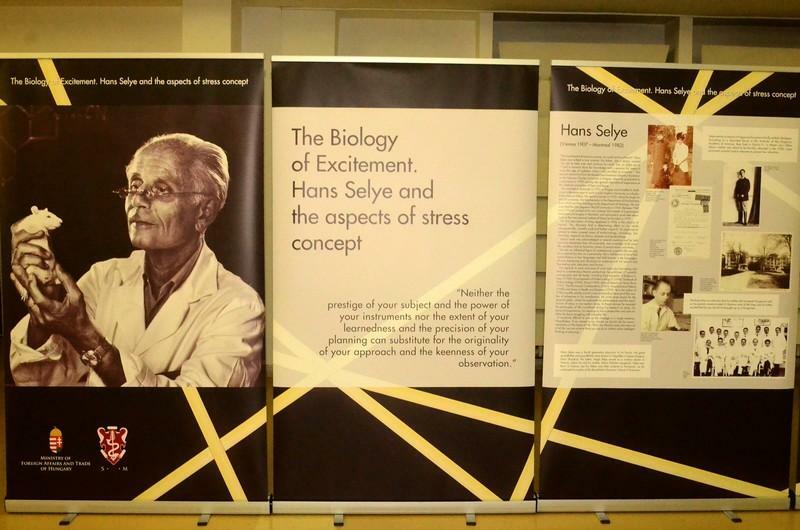 Gros of his scientific contribution lies in describing the effects of stress on the human organism and presenting valid evidence of the existence of biological stress, for which he was nominated for the Nobel Prize. As the professor MUDr. Oliver Rácz explains the issue of stress is nowadays a key chapter in the subject of general pathological physiology and very important for understanding the origins of many diseases. „Ján Selye created his theory in the 60´s of the twentieth century. Nowadays there is very big significance put to the deeper understanding of this area“, he adds. Dean of the Faculty of Medicine UPJŠ prof. MD. Daniel Pella, PhD. appreciates the students of the medical faculty in Kosice can find out more details about the life and works of Ján Selye. „Ján Selye has always been a pioneer of the theory of stress. He lived in times when stress was mainly related to the problem of the very existence of man since he lived in the period of disasters caused by hunger, poverty or incurable diseases. These problems are still relevant in some part of our planet, but nowadays we have to face totally different type and factors of stress. From my point of view, as a cardiologist, nutrition is even bigger problem: people consume unhealthy and junk foods, that cause stressful obesity. In addition to this, interpersonal and working relationships are often extremely complicated. They are also new stressful forms of environmental pollution – not only traditional chemicals but also pollutants of light and noise. We are also witnessing a drama of climate change and finally new existential threats have emerged alongside the traditional ones, such as a terrorism, „prof. MD. Daniel Pella, PhD. explains.